If you are looking for a good compression solution, then jZip can turn out to be an excellent choice for you. It will be pretty easy to create, open and also extract different files and you will also see that you can open and extract RAR and ISO files. jZip will enable the user to create compatible zip files without any problem, and it will also be possible to unzip and zip file archives with ease. 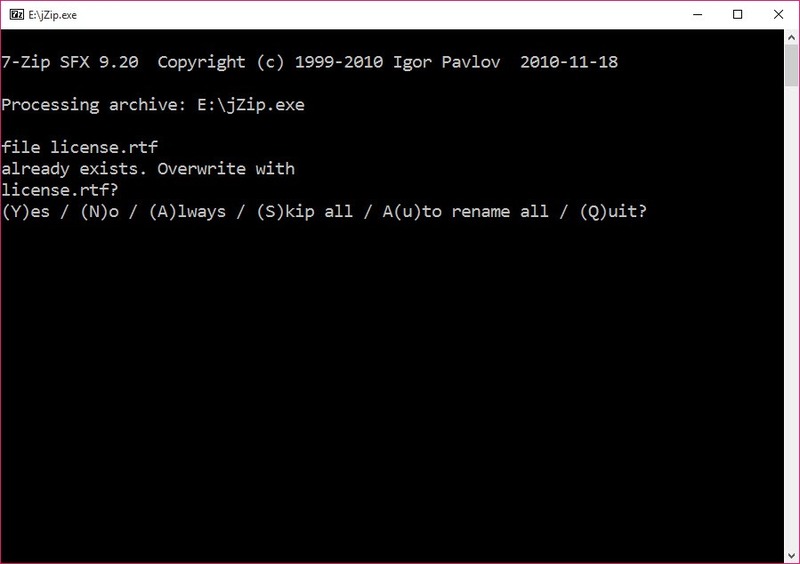 You will also find this tool useful because it will support a lot of different archive formats such as TAR, GZip, and even RAR and this means that this tool will be able to make your archive in any format you want. The compression ratio is improved, and all of the compression processes will be done in a matter of seconds which will mean that you won`t have to wait for an extended period until your file will be compressed. You will see that this tool will offer you a proven and also a reliable service and you will even know that it is going to be an easy to use tool with a compelling user interface. If you need a powerful tool and you don`t know which tool to select, then you should know that this jZip can turn out to be a very simple to use tool which will have an intuitive interface. You can open and extract with ease any of your files you have and make a lot of types of compressed files based on your needs. You can archive your data in the formats you want including the most popular RAR file. When it comes to RAR files, it will be possible to save these files with non-English filenames and alphabets. When you install this tool on your computer, you will get an option to choose the type of formats that you can open and save. The files you want to archive will be compressed in a matter of seconds.